Fuel your post-workout body with these delicious snack ideas! These roasted green Peas are rich in protein and fibre and low in fat. Pulses (which include peas, chickpeas and lentils) are ideal to incorporate into your diet, post work out, and every day meals. These roasted green pea snacks are a crunchy, delicious and convenient way of getting what your body needs post work out. Protein’s work to build muscle but are also important to maintain energy through out your busy day. If you are actively exercising each day and find yourself incredibly fatigued at any part through out your day, you are most likely not feeding your body enough protein. Did you know that over 40% of the world’s pulses are grown on the prairies of Canada? We all know chickpeas are a superfood, full of protein, fibre and vitamins. These roasted snacks are dry roasted, never fried, and low in fat. Proteins and Carbohydrates are very important pre and post work out to provide your muscles with the proper nutrients for recovery. During exercise, your body burns glycogen, which is fuel for your muscles. Consuming Proteins and Carbohydrates within 30 minutes of your work out keeps your body, and mind fueled. Not only are these a perfect snack but they are also a great salad or soup topper. And, sustainably grown and made in Saskatchewan, Canada. Snacks are sometimes just a few simple ingredients together creating something simple, delicious and just what your body needs after your work out. This snack idea is minimal prep and full of goodness. A hard-boiled egg is an easy and nutritious source of protein. Eat it with whole grain bread ‘buttered’ with half an avocado. Whole grain breads are most beneficial because they contain more fiber and protein than refined grains and deliver more energy to your body. To boost your protein in this snack even further, add some ocean wise tuna to the mix, or sprinkle some hemp hearts. Protein Shakes and Smoothies are incredibly popular post work out. This smoothie bowl makes it a bit more fun while incorporating additional proteins and vitamins using toppers, such as fruit, nuts and roasted chickpeas. Blitz up your regular shake recipe, ensure to use Greek yogurt, and add in a ton of greens like kale or spinach, which will provide antioxidants that fight inflammation and fuel for your day. Top it with fruits high in fibres and antioxidants, such as Saskatoon berries or blueberries. For additional protein, crunch and goodness, throw in some oats, almonds or roasted chickpeas! Just another convenient way of eating those chickpeas. A great source of protein and carbohydrates, post work out, hummus provides a creamy and convenient ‘dipping’ experience to your snacking. Ensure to choose your hummus wisely as you want it to contain healthy fats that are not extremely high in omega 6. 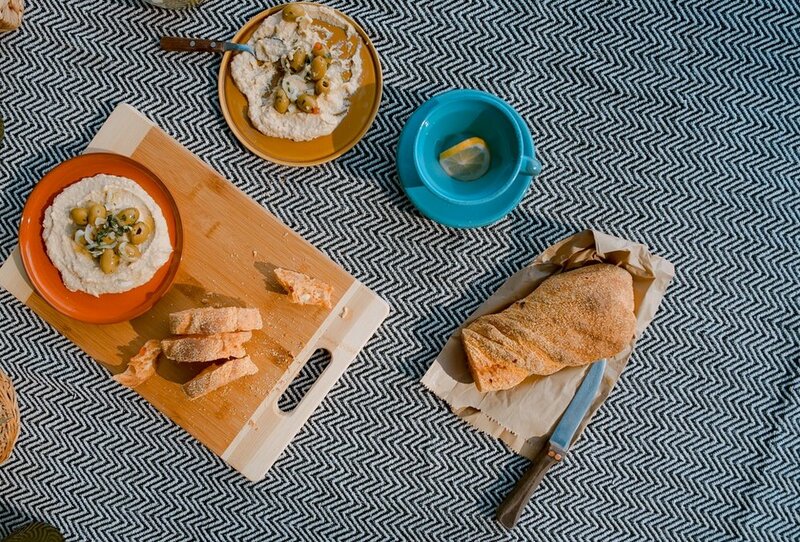 Or, consider making your own hummus at home using cold-pressed camelina oil (omega 3) or cold-pressed olive oil (omega 9). Pair it with good carbohydrates, such as whole grain pita or crackers, and throw in some vegetables, such as carrots and celery, for additional fibre and vitamins. This may be a snack you are familiar with from your childhood? Apples and peanut butter is not only a tasty treat but is a strong and easy post work out snack. Be sure to choose a natural peanut butter or alternative nut butter, such as almond butter, to keep the calories and grams of sugar and fat in check. Nut butters are a great source of protein and apples are a good low calorie and nutritive alternative to a cracker. However, whole grain crackers or toast with nut butter are fantastic as well.